On the lawn of Howard Vineyard on a sunny autumn afternoon, family and friends gathered to witness the wedding of Tess and Jack. Tess and Jack had invited roughly 50 guests to be by their side on this special day and the area underneath the tree on the lawn provided the perfect setting for such an intimate wedding. The couple have been together for almost 11 years so everyone was simply excited for them to finally tie the knot. I was playing ‘I’m yours’ by Jason Mraz while Tess was walking down the aisle. Celebrant Camille Abbott facilitated the ceremony beautifully talking about how the couple met, how they lived with Jack’s parents for over 6 months and how they both love to travel. Tess and Jack both had written their own vowels which were very touching, not only the couple but also the guests tried to hold back their tears of happiness. Jack’s mother read a beautiful poem and the couple signed the registry while I was playing Ellie Goulding’s ‘how long will I love you’. After being announced as husband and wife, Tess and Jack walked out to ‘All you need is love’ by the Beatles which I had learned as requested by the couple. While Tess and Jack were off taking photos guests were enjoying drinks, nibbles, a photo booth and lawn games on the grass area while I was playing acoustic music to compliment this wonderful atmosphere. Once the sun was about to set and it was getting colder guests moved inside for the reception. As their MC I welcomed everyone to the reception and had the pleasure to announce the newlyweds. The room was decorated with flower arrangements on the tables and on the wall behind the bridal table which suited the brick wall and gave the room a natural and warm feel to it. Some more acoustic tunes entertained guests while enjoying their main meals. Speeches by the father of the bride, the father of the groom, the mother of the bride and best man brought back the celebrative atmosphere after an unfortunate event. I was playing Ed Sheeran’s ‘Perfect’ for the couple’s first dance. It is these moments I cherish the most. I am so thankful I can provide music in these magical moments, playing one of my favorite songs while this beautiful couple is dancing for the first time as husband and wife was certainly my highlight of the day. Towards the end of the song guests joined the couple on the dance floor and continued dancing until the end while I was Djing the best of old and new songs as requested by the couple and guests. Thank you Tess and Jack for letting me share your special day with you and for being your musician, DJ and MC. It was a wonderful wedding, you are amazing people and I wish you all the happiness in the world. 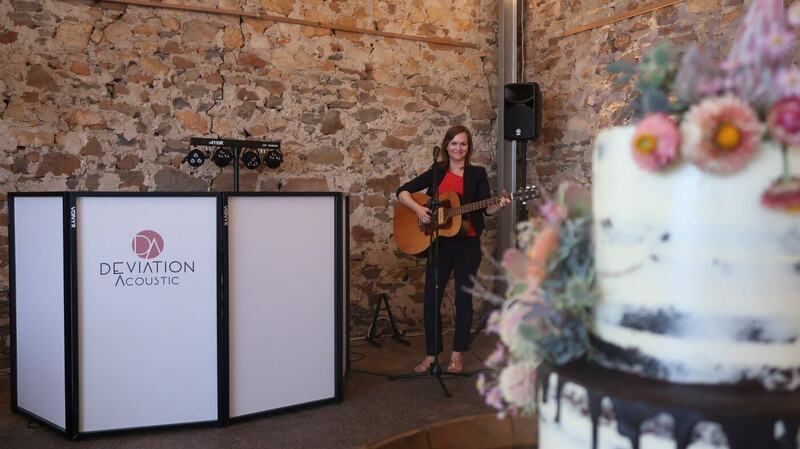 This entry was posted in Weddings and tagged acousticweddingsinger, budgetwedding, ceremonymusic, receptionmusic, weddingDJ, weddingmusic. Do I need ‘talent’ to learn to sing?